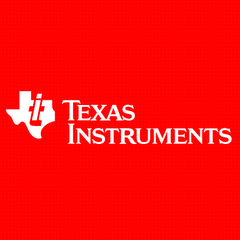 Texas Instruments today introduced a pair of 32-bit delta-sigma analog-to-digital converters (ADCs) that combine high resolution, low noise and integrated fault detection, eliminating many of the performance and features trade-offs typically associated with device evaluation and selection. The highly integrated, sensor-ready ADS1262 and ADS1263 also remove the need for external components that increase system cost and degrade noise and drift performance. For more information, visit www.ti.com/ads1262-pr. Until now, system designers who needed a high-resolution ADC had to sacrifice other desired specifications, such as low noise or low offset drift, as well as several integrated features. The ADS1262 and ADS1263 eliminate these trade-offs by providing 32-bit resolution, along with integration, fault-detection features, a fast data rate and wide temperature range, to help maximize the performance of programmable logic controllers (PLCs), industrial automation equipment and sensor-measurement applications. Accurate measurements of small signals:High resolution of 32 bits and low noise of 7 nVRMS at 2.5 SPS enable measurement of the smallest signals, which is essential for bridge applications where typical full-scale signals are 10 mV or less. Offset error drift is also 80 percent lower than competitive solutions, ensuring measurement stability over the entire temperature range. Reduces component count to decrease system cost, board area and design time:The ADS1262 integrates a programmable gain amplifier (PGA), 2.5-V reference, oscillator, level shifter, temperature sensor, dual-excitation current sources (IDACs) and eight general-purpose input/output (GPIO) pins. The ADS1263 adds an auxiliary 24-bit delta-sigma ADC for systems needing parallel main-channel conversions, sensor-temperature compensation or sensor diagnostics. Integrated monitoring and diagnostics:Features such as internal signal-chain monitoring, data-error detection, sensor-burnout detection and a test digital-to-analog converter (DAC) provide the internal and external fault detection and diagnostics necessary for high-reliability systems. Read TI’s new white paper to learn how to use the ADS1262 and ADS1263’s integrated diagnostics to help improve system reliability. Fast data rate:A maximum output data rate of 38 kSPS enables the ADCs to be used in high-data-throughput industrial applications. Support for harsh industrial environments:The operating temperature range of -40°C to +125C is 20C wider than competing products. TI offers a range of support tools for the ADS1262 and ADS1263 to speed time to market, including a TI Designs reference design for high resolution, low drift precision weigh scale measurementsusing AC bridge excitation. The ADS1262 and ADS1263 provide complete support suites that are available for system designers, including samples, an IBIS model, an Excel calculator tool that aids in device configuration, and performance development kits (PDKs). The ADS1262EVM-PDK and the ADS1263EVM-PDK are available for US$199 from the TI store and authorized distributors. Support for the ADS1262 and ADS1263 is available on the Precision Data Converters forum in the TI E2E™ Community, where engineers can search for solutions, get help, share knowledge, and solve problems with fellow engineers and TI experts. Engineers designing with data converters like the ADS1262 and ADS1263 can also visit TI’s new Data Converter Learning Center to find how-to design resources organized by topic, such as delta-sigma ADC basics, ADC noise analysis and filtering, and driving ADCs. The ADS1262 is available today in a 9.7-mm-by-6.4-mm thin-shrink small outline package (TSSOP) for US$9.10. The ADS1263 is also available in a 9.7-mm-by-6.4-mm TSSOP for $12.65. All pricing is in 1,000-unit quantities. Download the datasheet for the ADS1262 and ADS1263. Learn about the PGA input range requirements in this blog post. Download a white paper to learn how semiconductor companies are improving system reliability with integrated diagnostics. Take a look at this blog post and learn the basics of delta-sigma modulators. Find how-to design resources organized by topic in the new Data Converter Learning Center.orm the future, today. Learn more at www.ti.com.